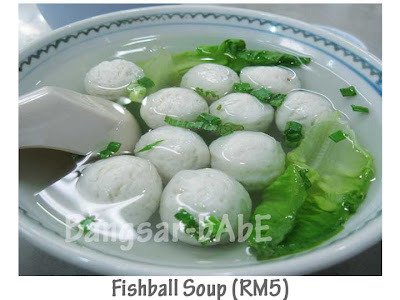 The Original 60s Teow Chew Fishball in Damansara Utama has been around for quite sometime and I pass by the shop everyday on my way to work. It was only up to two weeks ago that I got around to trying the food with Shum and Dan. 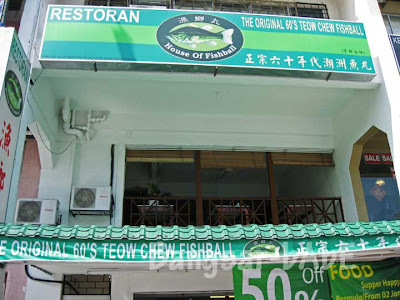 They specialize in all sorts of fish paste – fishballs, fishcake and fish paste stuffed yong tau foo. Dan ordered the dry Hakka noodles while Shum and I had the curry noodles (hakka mee). We also shared a bowl of fishball soup. Dan’s bowl of noodles was disappointingly small. The noodles while springy, had very little minced meat and fishcake. For RM5.50, I thought it was expensive. 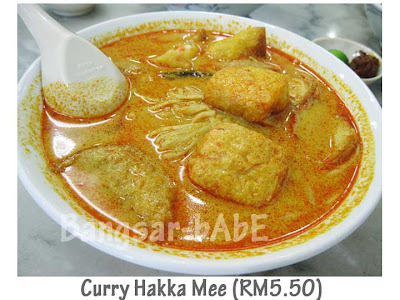 My curry mee looked promising, but fell short of expectation. The gravy was cloyingly sweet, presumably from the coconut milk. Shum barely finished half her bowl. However, the fried wantan in the noodles were quite good. The homemade fishball tasted alright. It has a firm and springy texture, but the clear soup was nothing to shout about. My herbal tea was very watered down, so I hardly tasted any herbal flavour. 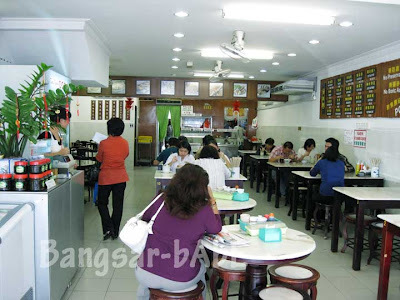 Verdict: Decent fishballs and wantan, but not enough to warrant another visit. looks like their speciality is so special after all? That dry hakka mee portion looks child-size! Did it come with winning condiments though? Coz that makes a world of difference! joe – nah…their specialty is nothing to shout about. 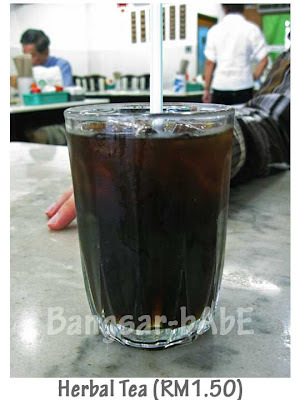 550ml – no winning condiments, only normal tasting fishcake slices. at least my curry mee had quite nice wantan.